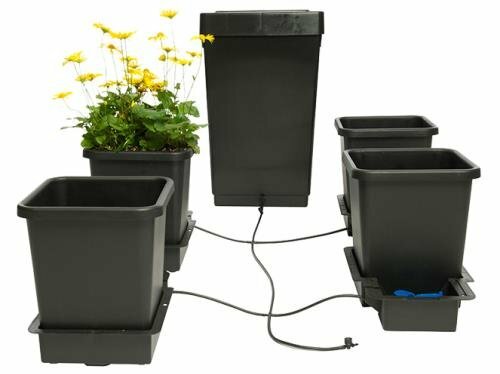 Bucket gardens, or hydroponics bucket systems are ideal for indoor growers and urban gardeners with space constraints. 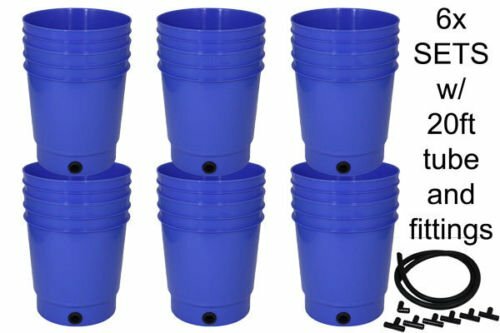 Recirculation Deep Water Culture (RDWC) bucket systems link multiple buckets together into a shared ecosystem. 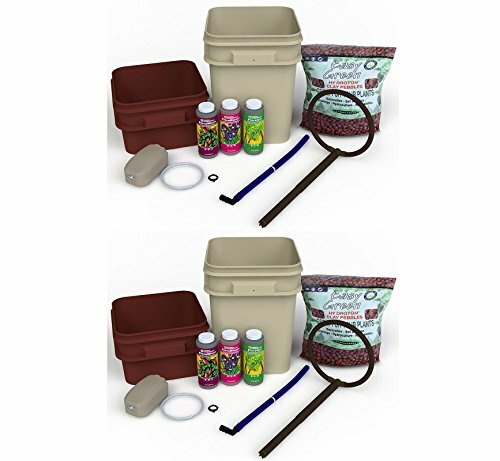 This allows testing and adjustments on all of the buckets in the system at one time. 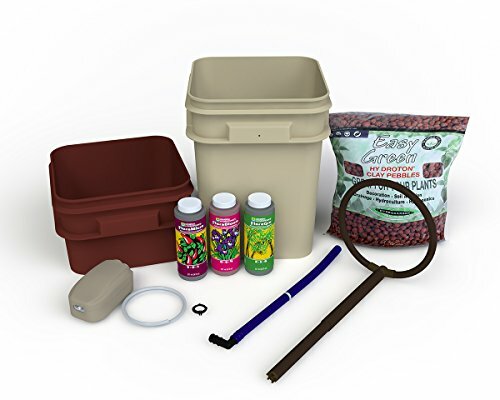 These systems are known as DWC, Dutch, or Bato buckets. 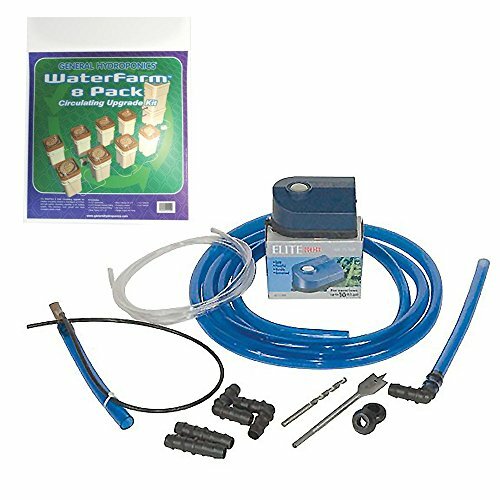 A complete bucket based water farm. Built out of high impact plastic to assure a long service life. 2 complete water farm buckets. Built out of high impact plastic to assure a long service life. 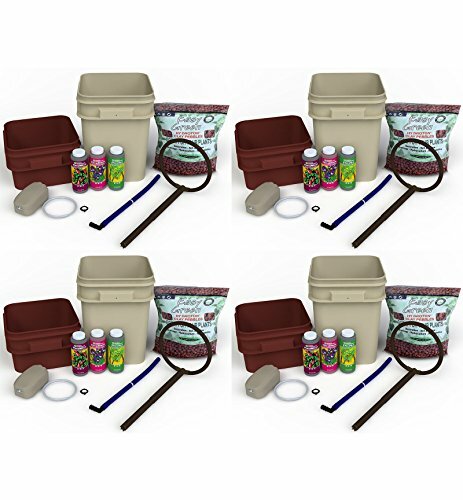 4 complete water farm buckets and circulation pump and supplies. 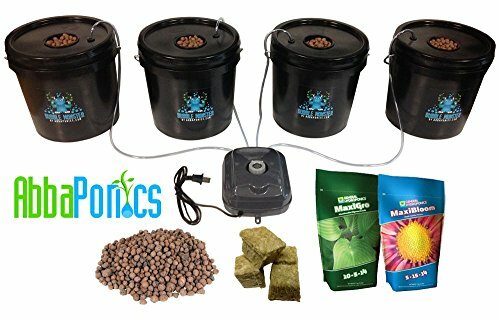 4 complete water farm buckets. Built out of high impact plastic to assure a long service life. 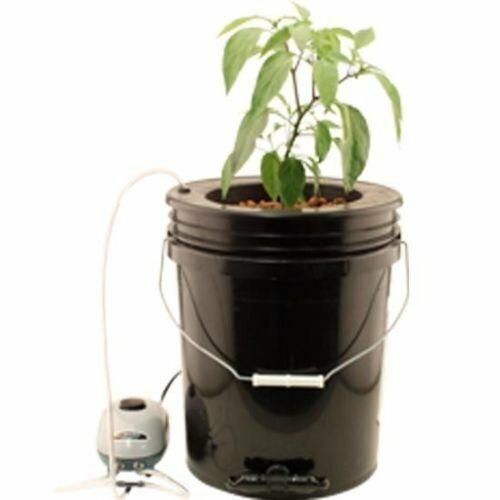 4-Pot gravity fed watering system which requires no power, pumps or timers to operate. 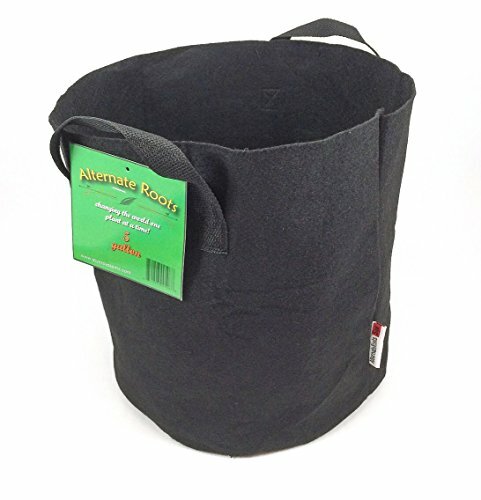 These heavy duty plastic pots are designed specifically to snugly fit on a standard 5 gallon bucket. 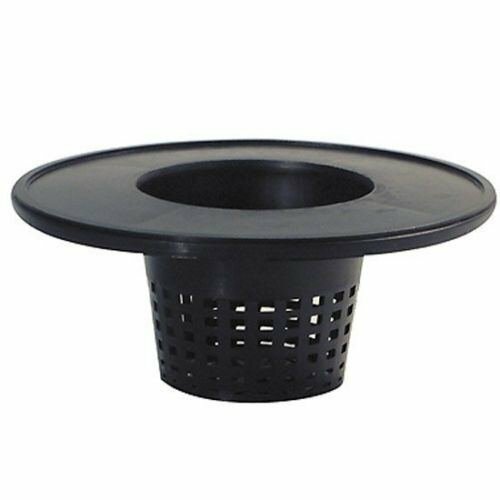 Flexible Grow pots are designed drain water, and allow your roots to air prune and breath. 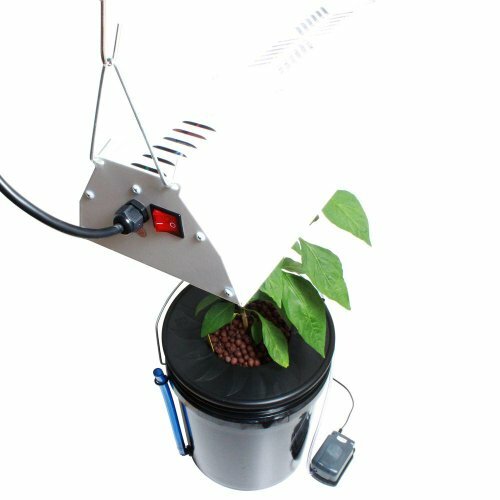 Viagrow V1DWCKIT Black Bucket Deep Water Culture DWC Hydroponic System With Grow Light and Timer. 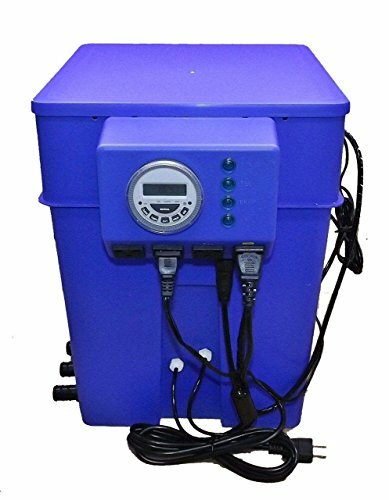 Digital controller, 24 Hour timer, 17 different fill and drain times. Extra outlet for air pump. * Average price is determined by a combination of recent sales and current pricing and may vary from current prices available on individual sites. View the item details page for current offers.